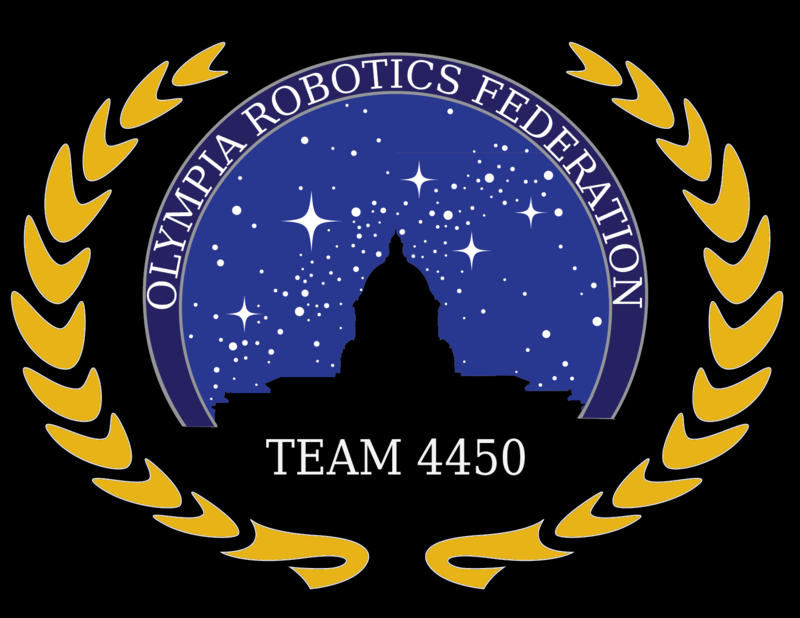 The Olympia Robotics Federation (ORF), OSD’s FIRST Robotics Competition (FRC) team, completed the “Build Season” for 2014 by bagging-and-tagging their robot by the Stop-Build date at midnight on February 18. The team is tackling the new FRC game, Aerial Assist (see this game animation), which was announced on Jan 4, 2014 – kicking off a 6 weeks Build Season for the team. The team split into several working groups to tackle the challenge, putting to work the skills they developed during the off-season. 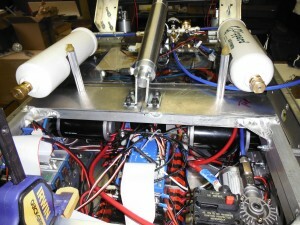 The team is working with pneumatics for the first time (see photo at left) as part of their design solution. This video shows an early test of the revised ball pick-up system, while this video shows an early test of the pneumatically power ball launcher. The team successfully integrated and tested all the systems by working many long hours over the 4 day Mid-Winter Break period. 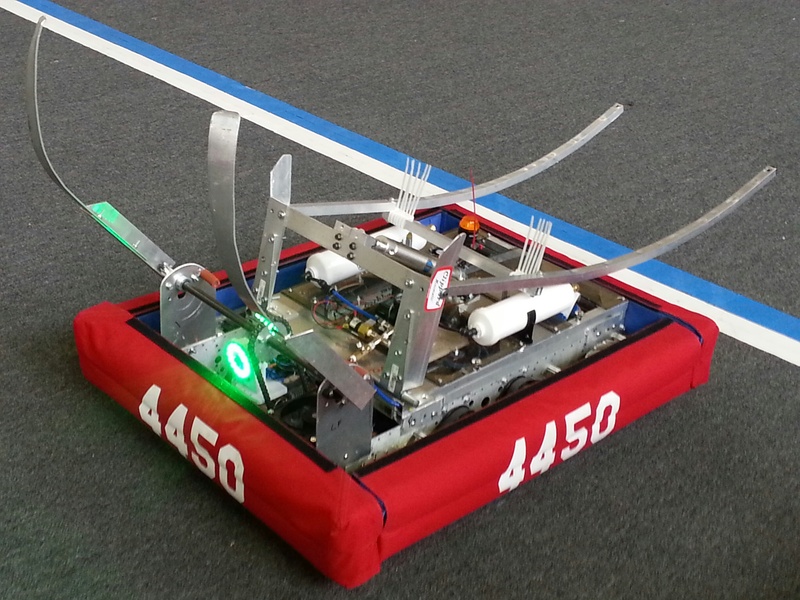 This video contains a compilation of photos over the Build Season and videos of the completed robot, named Ibex. 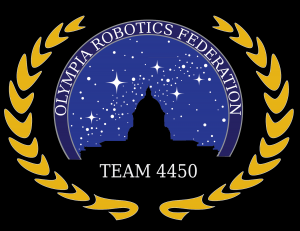 ORF will be competing in two Washington State Qualifiers this year;February 28/March1 at Auburn Mountainview High School and March 27/28 at Auburn High School. Spectators are welcome and encourage to attend and cheer on ORF. 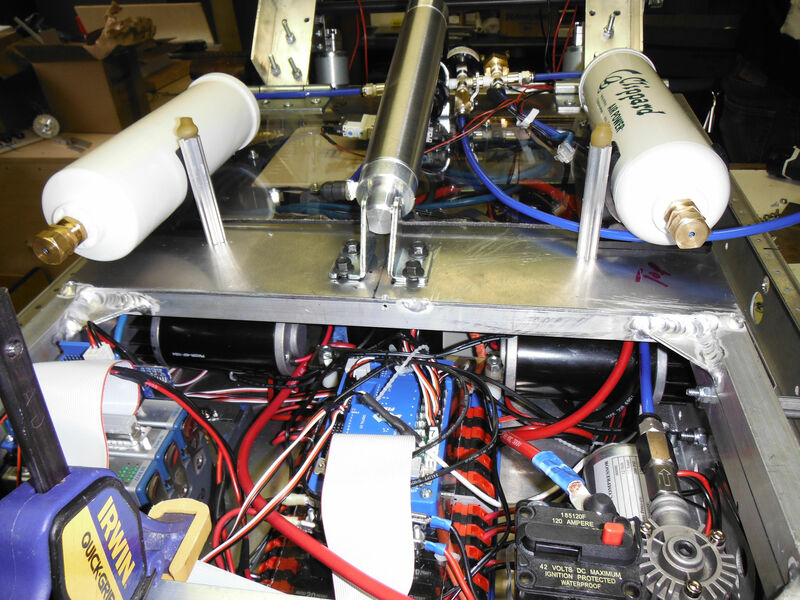 If you, or someone you know, is interested in supporting/sponsoring the team, check out this STEM Pals Funding Need page. 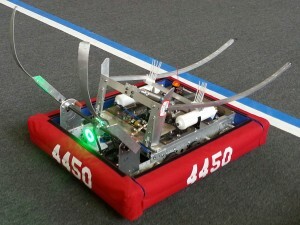 Last year, at the Seattle FRC Regional, ORF took home the coveted All-Star Rookie Award. Then, at the FRC World Championships, ORF won the Top-ranked Rookie Award in the Archimedes Division and was captain of an alliance in the elimination round. 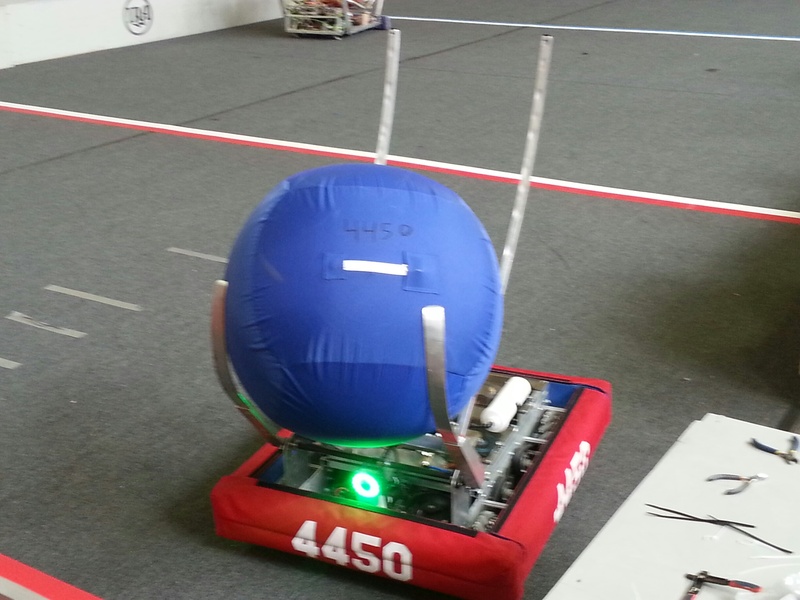 Team 4450’s success in St. Louis was the culmination of an intense rookie FRC season for the cross-district team which combines students from Avanti, Capital and Olympia high schools in a bid to master last year’s challenge, Ultimate Ascent. These videos show ORF’s second-to-last and last matches in Seattle.